China has become one of the most important influences on U.S. foreign policy in the years since the United Soviet Socialist Republic (USSR) dissolved into a smaller version of itself (Russia) and a collectively less prominent scattering of nation states. The Peoples Republic of China has impressively grown beyond being Southeast Asia’s powerbroker of the 1970s and ’80s to be recognized as an international force in the world’s economy, as well as a major industrial contributor to the planet’s environmental problems. It slowly dawned on many Americans that China was emerging as the United States chief international rival. But the relationship between the two major superpowers developed a unique twist that was never an issue in the U.S. competition with the U.S.S.R. China became a significant holder of American international financial debt, a situation created in part by our own credit card addict’s view of financial (mis)management, aggravated by a growing U.S.-China trade imbalance. For these reasons I became very interested in former Ambassador to China, John Huntsman’s unsuccessful run at the Republican Presidential nomination. Suddenly, here was someone who understood the intricacies of our relationship with the Chinese. But I also came to realize my own “China problem”. I knew very, very little about the Peoples Republic of China. This glaring blind spot led me to John Bryan Starr‘s Understanding China, an expanded 2010 study of a nation so few of us know much about, let alone understand. This is Starr’s third revision of his original book, published in 1997. Starr is a former U.S. Navy officer and current political science lecturer at Yale University. Before Yale he taught Chinese politics at UC-Berkeley. He has served as Executive Director of the Yale-China Association and as President of the China Institute in New York City. I found Understanding China to be a well-organized and enlightening look into a region of the world I have admittedly ignored over the years, at least since those heady days of fifth-grade geography and 10th grade world science. Starr’s approach begins with a discussion of 12 critical issues facing China as it moved from being the brunt of jokes about cheap toys and flimsy consumer products to a regional military power and international economic force. The 12 issues range from those that most affect the Chinese people (e.g. housing and feeding a growing population, restrictions in the free flow of information) to the issues that challenge the country of China as it emerges as a developing economic power (e.g. environmental degradation, finding sufficient sources of energy, relationships with Taiwan, Hong Kong, and the United States). This outline sets in the reader’s mind the questions that will be addressed throughout the book and serves as a useful guide for framing Starr’s discussion. It proves difficult for me to do such in-depth studies justice in a blog post. So many of my readers have short attention spans and prefer lawn care tips over international political science. With those restrictions in mind, I’ll limit my discussion here to those aspects of China I found new and most interesting. A serious study such as Understanding China is a useful tool for gaining an overview on a broad spectrum of issues; the reader can then decide which specific areas might require more in-depth research. China experiences approximately 120,000 very public protests every year. Quite the surprising statistic for such an authoritarian and – in the case of the 1989 Tiananmen uprising – downright brutal government. 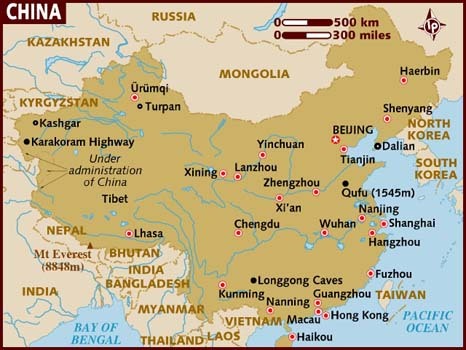 China is just a tad larger than the United States (3.7 million square miles vs. 3.6 million). But 75% of its population lives on just 15% of the land mass; two-thirds of which is covered by mountains akin to the U.S. Rockies. China’s arable land for farming is limited to just 10% of the total. 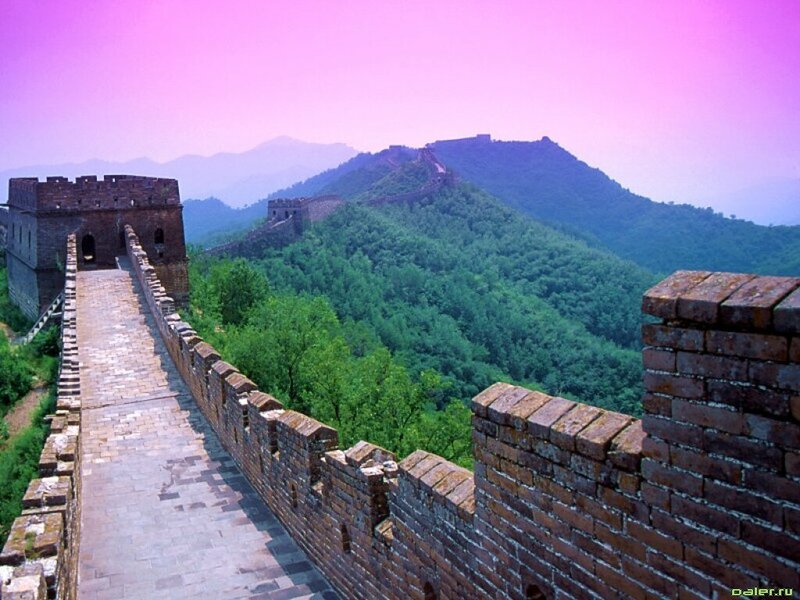 The 2008 global financial meltdown had a relatively limited effect on the Chinese economy. The reason was the authoritarian government’s capability to quickly and effectively inject new capital into the domestic economy. So there does seem to be at least one advantage to not having to kowtow to a democratically elected legislature … quick action in a crises! Foreign investment, channeled primarily through the Special Administrative Regions (Hong Kong, Macao), tops $1.6 trillion a year; consisting of 60,000 joint ventures; and accounting for half of all Chinese exports. China’s People’s Liberation Army receives an official annual budget of only $70 billion; but experts estimate that it’s truly 3-4 times that large. In addition, the PLA self-finances in part through the manufacture and international sale of military weapons and equipment. And until recently ordered to divest, military-owned and operated facilities also produced consumer goods for domestic sale that accounted for 20% of the domestic consumer market. In 2004 Morgan Stanley estimated that high quality, less expensive Chinese products saved the U.S. consumer an astounding $100 billion! There were several topics in which I was keenly interested, given China’s expanding global presence and impact. Despite China’s authoritarian communist rule, the countryside is relatively free of control by the central government. Local authorities are delegated much latitude on a broad spectrum of administrative and operational issues. This arrangement serves to contradict certain objectives like reducing pollution and feeding an expanding population. The crux of the problem is that local authorities at regional and village levels are incentivized (or penalized) based on production outputs and cost efficiencies, along with ensuring compliance by its citizens with social programs (e.g. one-child birth policy). Often the extent of local compensations, power, and access to corruptive practices causes local interests to run counter to national policy. Local leaders will overlook environmental threats, sacrifice arable land – which are already scarce in relation to farming needs – for modern industrial facilities, and coerce social compliance with the one-child policy simply as a cost reduction measure. The environment was just one sacrificial lamb in Mao Zedong’s vision of the Chinese nation. He portrayed Nature as an enemy to be overcome in the struggle for a powerful, independent China. Water and energy were provided free of charge, which ensured no one questioned the economies of conservation or the use of alternate energies. China is the largest user of coal, the second largest of oil (with 60% coming from the Middle East), and home to 16 of the 20 most polluted cities on the planet. China’s refusal to commit to most international environmental restrictions is based on its claim as a developing industrialized power (i.e. not yet fully developed). The claim has some merit since all developing nations, including the U.S., have histories as a major polluters as they grew into advanced industrial powers. This standoff does not bode well for international efforts to reduce the global effects of man-made pollution. The Chinese are well-known for the strength of their family system; and this is illustrated nowhere better than the reliance on the family responsibility system as a glue that holds Chinese rural society together. Due to China’s sparse infrastructure outside its urban concentrations, huge swaths of rural land especially in the north and west have limited accessibility, little in the way of government and social support structures (hospitals, schools, roads, communication, etc. ), and less government control. As a result, a loose federation of local authorities coupled with a strong family agrarian culture are left to their own devices for sustenance, industry, and social support. The family structure is most important here. The family system is responsible for seeing the individual through life from birth to death. With national priorities focused on feeding the much larger urban populations, the family structure is crucial to the success of rural farms which are owned and operated primarily by family units. Farming and limited rural industrial capacity is owned, managed, and staffed almost entirely within the family system. For this reason the limits of the one-child policy are largely ignored in rural areas since the larger the family, the greater the output; the greater the output, the more healthy and wealthy the family. These families find the penalties for multiple births and additional children over one-child to be well worth the investment, even a matter of pride. In addition, older Chinese in rural areas do not benefit from the pensions city dwellers can accumulate. So younger generations see providing for their elderly parents and grandparents to be part of their family duty. One interesting spinoff from this significant urban-rural divide is that rural Chinese do not identify with the problems and shortcomings faced by those Chinese in the big cities. As a result, rural Chinese felt little compulsion to become involved in the Tiananmen Square uprisings of 1989, which were initially caused by protests over poor education and living conditions at Chinese universities, located in its major urban centers like Beijing. This post is already way too long for some of my attention-span-challenged fans, but Starr’s biggest contribution to my understanding of China’s present day status was his explanation of the remaking of the Chinese economy. For decades China was the land of cheap toys and poorly made consumer products. Now it’s known for cheaper priced consumer products and top-line brand-name clothing and electronics. China’s status as The Land of American Outsourcing hits a sensitive nerve with work-a-day Americans, particularly those without good jobs and especially those who have lost jobs to cheaper overseas labor. It’s an issue that will plague Chinese-American relations for years to come until some form of equilibrium is reached. One cold, hard reality is that the outsource destinations did nothing other than take advantage of the high cost structure in this country, much of it the result of the high level of Government regulation and the expenses of a union-committed labor force. China’s big chance to remake its often ridiculed economy came with the cessation of Hong Kong by Great Britain. This handover opened the door for China’s own brand of “capitalism with Chinese characteristics”. Hong Kong, which had long existed as a conduit for financial activity, opened the floodgates for a dramatic expansion of foreign investment. 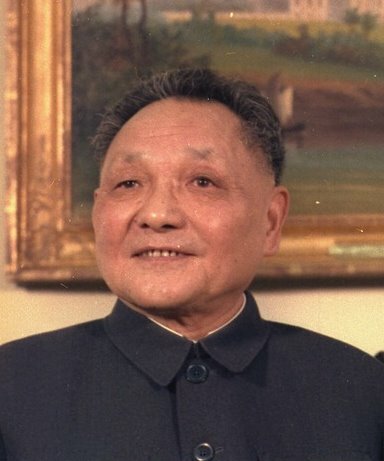 It was Deng Xiaoping who set the stage by initiating a number of reforms that eased the transition for China’s economy. Deng’s reforms included moving industrial development from central government planing to market-driven decisions, and shrinking the state-owned industrial sector in favor of an expanded private sector. These decisions accomplished more for China’s economy than any other outside development. From the socialist/communist point-of-view however, China also moved from an economy among the most equal in income distribution to one that is now one of the most unequal in terms of the differences between rich Chinese and poor Chinese. This just goes to prove that trying to force a philosophy of income equality for all does absolutely nothing for the long-term financial and economic health of a developing country. And that’s it, a rather long-winded but inadequate attempt to portray John Bryan Starr’s look inside the Chinese behemoth. I certainly have skipped and skimmed a large part of Starr’s treatment. For a real appreciation of China’s story from the age of dynasties to land of Wal*Mart you really need to pick up Understanding China. This entry was posted in Reviews and tagged books, history, national security, politics, reviews. Bookmark the permalink. You had better been paying attention. Quiz on Sunday morning before anyone gets served Breakfast at the British Open! Good insights in the book. Hugh Hewitt interviewed Kissinger yesterday, this weekend is the 40th anniversary of his secret negotiations which preceded Nixon’s opening of relations with China. Kissinger also has a book out on the topic. Interesting. It is the future.